After years of research, a ground breaking discovery has been made into recharging car batteries in electric cars. This new technology, developed by Battery Fueling Ltd, reduces the time at the pump for electric vehicles to an astonishing four minutes. NRG Expert the leading independent provider of energy market research has published two insightful Analyst Briefings on the global Electric Vehicle industry and Battery Fueling Limited. These two Analyst Briefings help the reader to understand the landscape of the global Electric Vehicle market and assist in fully comprehending the scope and remit of the Battery Fueling offering. Battery Fueling Limited is a U.K. registered company with U.S. patent-pending electric vehicle refueling technology. Battery Fueling Ltd has developed a new technology for electric vehicle owners which enables them to recharge their electric car batteries in a matter of minutes using a familiar pump-like interface. This innovative new system swaps out the cells that are depleted, rather than recharging the entire unit, dramatically reducing energy charging time. Just like you use a pump for fossil fuel, you can now ‘fill up’ with freshly charged batteries. 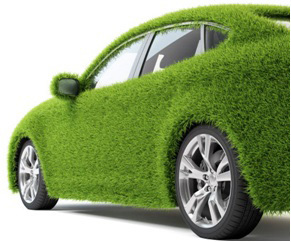 The electric vehicle market is expanding rapidly, and with many countries offering incentives for purchasing electric vehicles this technology offers an exciting, cost effective, innovative solution, and is available for a short time to interested investors. >> Vehicles can only travel up to 200km on a single charge. >> Recharging electric car batteries can take many hours. >> Full battery pack swaps require expensive, heavy machinery. The electric vehicle market is growing fast with an expected 3.8 million units to be sold in 2020. However electric cars can only travel up to 200km, before recharging. If it were possible to recharge these cars in a matter of minutes, the market could expand exponentially, reaching those with previous reservations. The number of cars worldwide is estimated to be over 1 Billion, introducing technology as innovative as Battery Fueling Ltd’s will help to gain a significant share of this market. Battery fueling limited is currently looking to commercialize its US patent-pending electric vehicle refueling technology and is seeking investors and/or buyers of the technology.